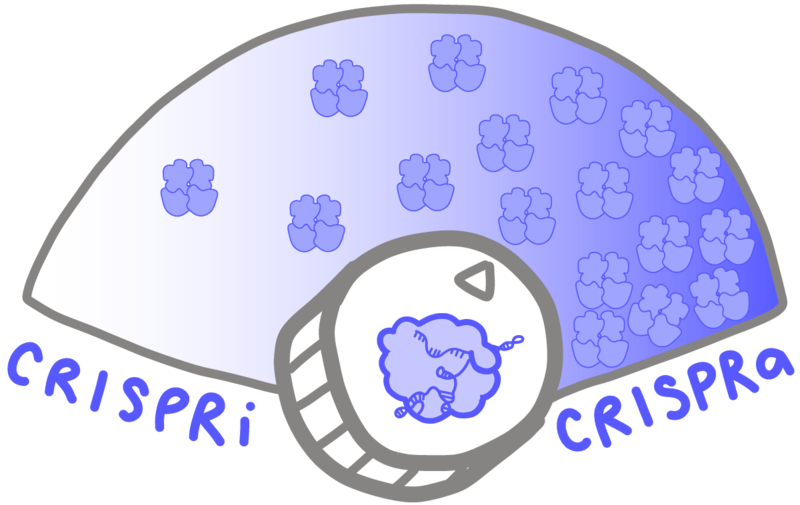 CRISPRa stands for CRISPR activation and CRISPRi stands for CRISPR interference or inhibition. Both are methods for fine-tuning gene expression. If a gene were a car, CRISPRa is the gas pedal and CRISPRi is the brake. Using CRISPRa to activate a gene increases protein production. Using CRISPRi to “turn down” a gene reduces the number of protein products made from that gene.